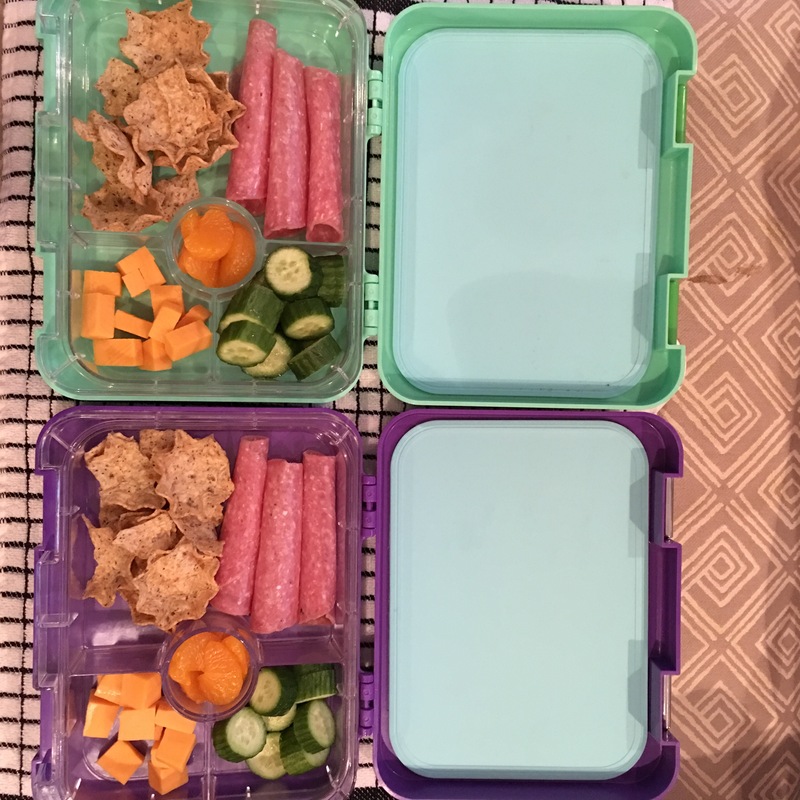 For lunch this week, I packed my kids a bento box of some of their favorites. I found these bento boxes on Amazon and chose them because they were reasonably priced, seemed sturdy and not too heavy. I would say they are a little heavy for my 3 year old to carry but fine for my 6 year old. They also have a dip compartment that I thought was neat. (I put mandarin oranges in it). You can find the bento box here.